Leave Newport to cruise to Sag Harbor. This quaint Long Island village is ringed with homes of the rich and famous. 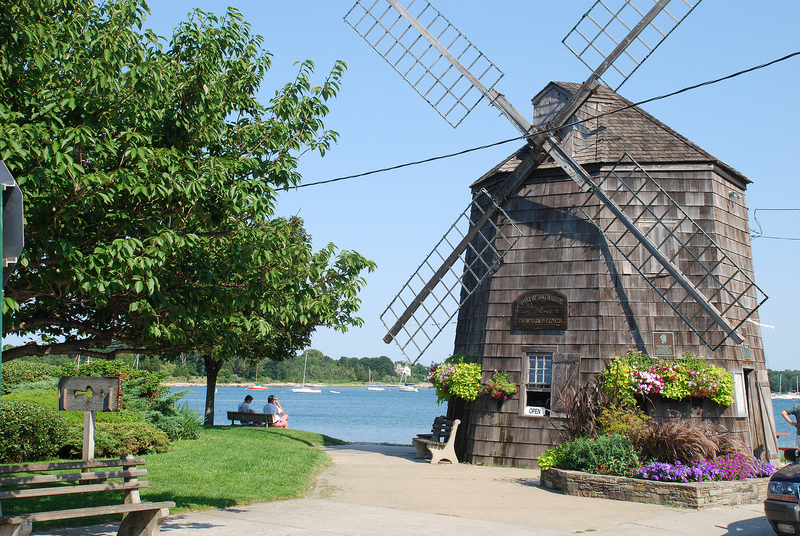 Once a large whaling port, Sag Harbor still exudes the charm of a prosperous yesteryear. 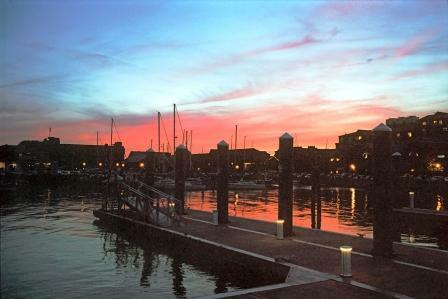 Overnight to explore this town, visit the shops, and perhaps visit the whaling museum. 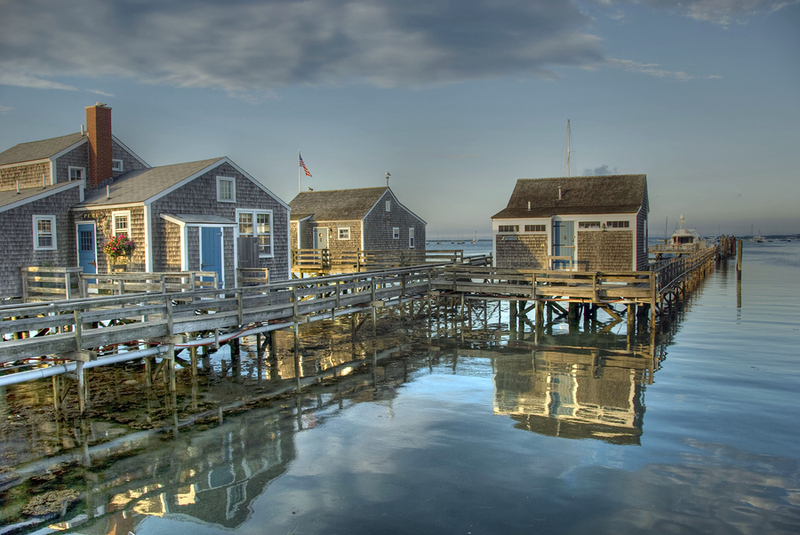 Leave in the am to cruise to Block Island, a seven-mile long by three-mile wide island. 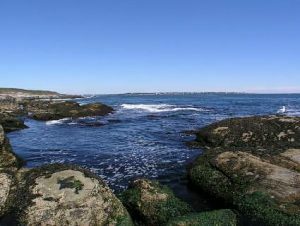 Within the 25 square miles there are 17 miles of pristine beaches and a varied terrain of hills, hundreds of freshwater ponds, 2000 miles of stone walls and a unique variety of flora and fauna. 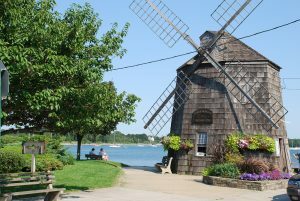 Named after Dutch navigator Adrian Block, who stumbled across it in 1614, Block Island was then settled by a party of English from the mainland in 1661. After lunch, explore the island by bike. After a relaxing breakfast leave for Cuttyhunk, the bottom of the chain of islands below Cape Cod. Enjoy lunch in Cuttyhunk Harbor before taking a hike to the islands highest point, for a spectacular view of the eastward-running archipelago. If hiking isn’t your thing, swim or relax with cocktails as the sun sets. 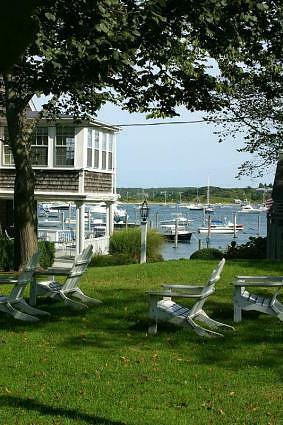 In the morning depart for Edgartown, Martha’s Vineyard, an elegant port that takes its yachting seriously. Many impressive yachts, belonging to the rich and famous, are moored here in season. 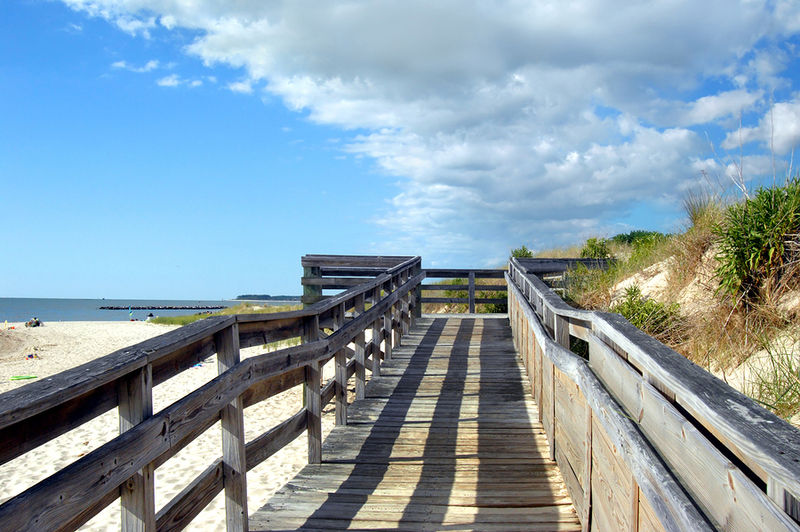 Go for a stroll down the cobblestone streets or walk the beaches of the famous Chappaquiddick point. Have lunch ashore at a dockside bistro and then take a tour of the rest of the island or head back to the yacht for some water sport fun or just relax on deck. 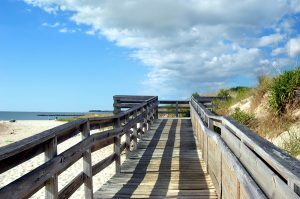 Martha’s Vineyard is the largest of the southern New England islands with three different coastal towns and Chappaquiddick is right beside Martha’s Vineyard on the other side of the Edgartown Harbor or Katama Bay. It’s a short sail to Nantucket, aptly named by Native Americans, which means “land far out to sea”. For a quarter of a century whaling dominated almost every aspect of Nantucket life and was the sole basis of island wealth. Today, Nantucket’s wealth comes from fashionable summer residents, itinerant yachtsmen, an army of tourists and the seasonal scallop and cranberry industries. Take a tour of the whaling museum and the cranberry bogs. Then walk down the historical cobblestone streets lined with little boutique shops. In the morning sail to Hyannis. 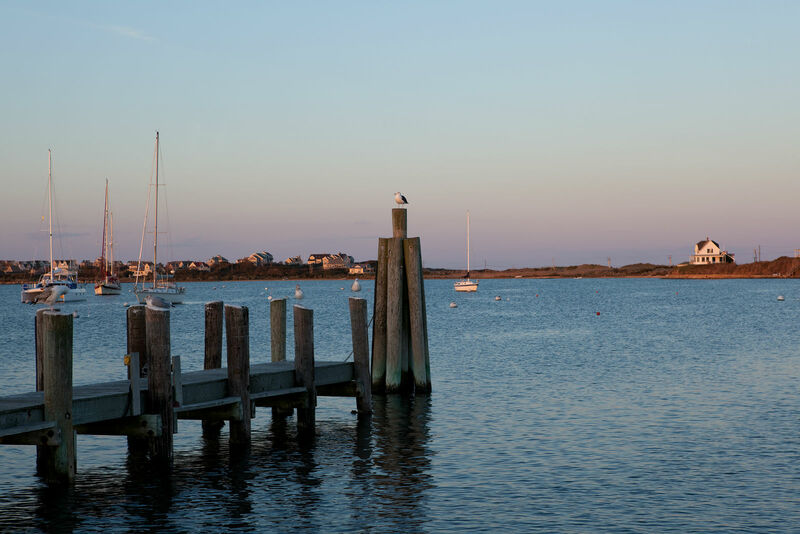 Hyannis is a tribute to sun, sand, seafood and saltwater. Calling itself Cape Cod’s “Hub” the town is packed with restaurants, shops, hotels and people. 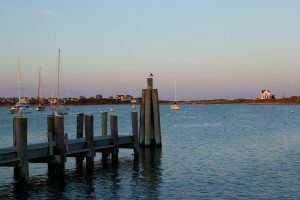 The harbor at Hyannis is big and scenic. After dropping the anchor go for a tender go ashore for a sightseeing tour and then return to lift anchor for Hyannisport, just around the corner to anchor for a lovely lunch in this calm anchorage. 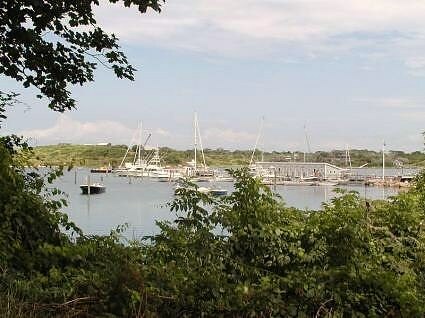 After a relaxing lunch sail onto Hadley’s Harbor, a deep-water anchorage off of Woods Hole. The harbor is ringed with the islands Bull, Uncatena, Naushon. All are owned by the Forbes family, who has kept the area pristine and beautiful. After breakfast a return sail to Newport to shop, dine, and unwind. If time permits take an afternoon tour of the Newport Winery and rolling hill countryside. Disembark.